Today is a quiet Saturday at home. We had pancakes for breakfast because I had the urge for homemade pancakes made from scratch. They turned out exceptionally well this morning. It has been awhile since I’ve had this urge. I think its because we’re finally settling in. Just a thought. We do not have plans for the day. The kids will be with their aunt at the mall and just spending some QT together before she goes back to Italy. The hubby will be doing his thing and is planning something for later this evening. I’m not yet sure if its just a guy thing or if the wives are going too. I’m sure I’ll find out once plans are settled. Since I do not have pictures of actually made things or pretty fabric. 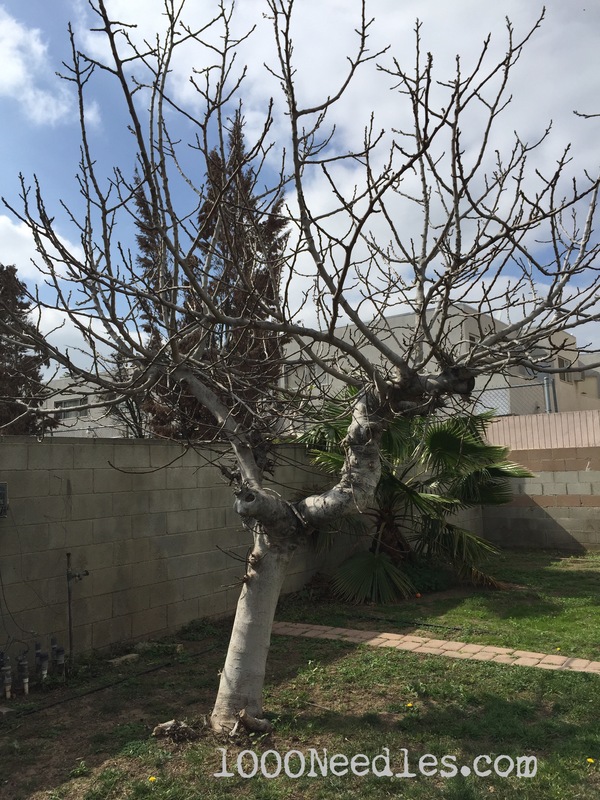 I’ll post pictures of my fruit trees in our backyard. I’ve been seeing so many pictures online of snow covered outdoor furniture and icy mailboxes… here’s how we fare in Sunny Southern Cali today. Not to make you all jealous or anything – but to give you hope that spring is on its way for y’all. 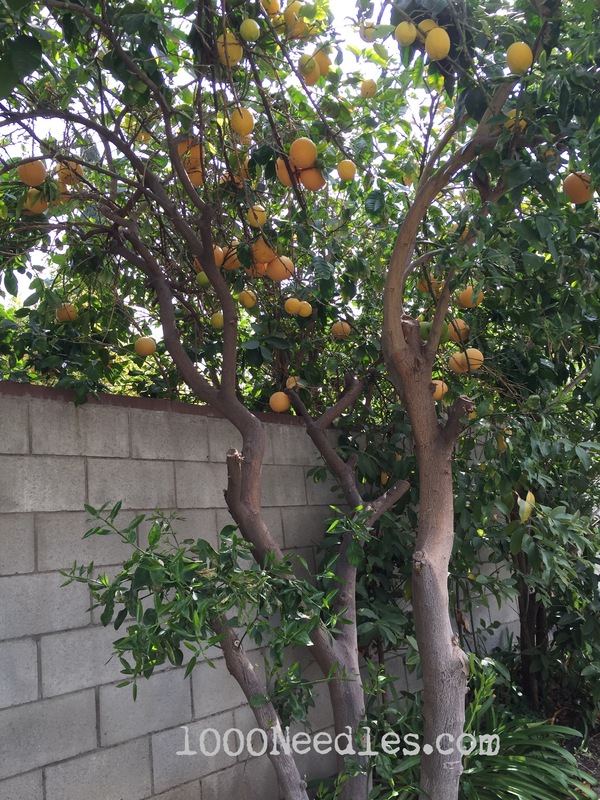 First up, is our grapefruit tree. 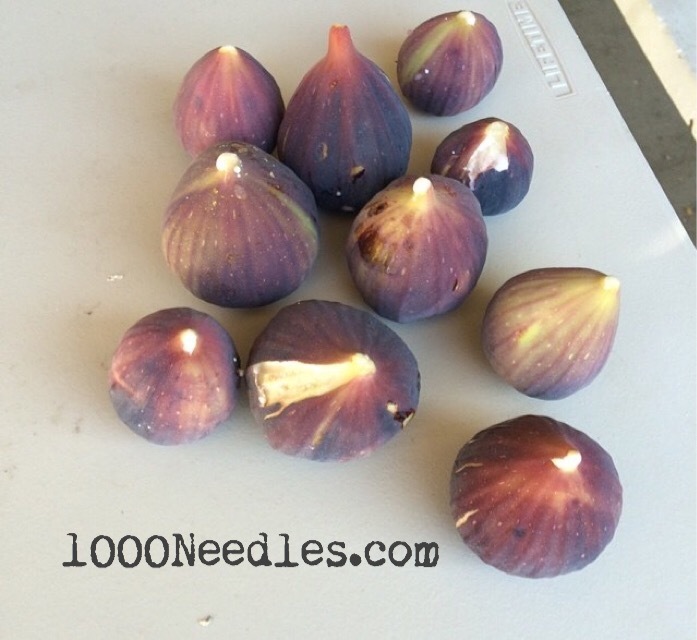 It’s laden with ripe/ripening fruit and is ready to be picked. Next is the lemon tree. We’ve been enjoying the citrus smell of the flowers from this tree for the past few weeks. 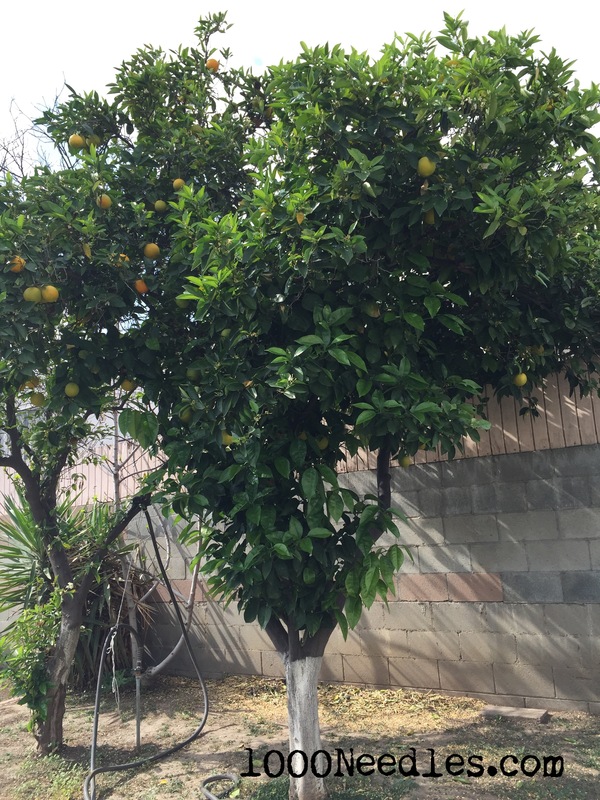 The great thing about a lemon tree in Southern California is that we get lemons pretty much all year long. But there are some times in the year where there are a lot more than usual. That will probably be the case in a few months and I will need to make something with it. 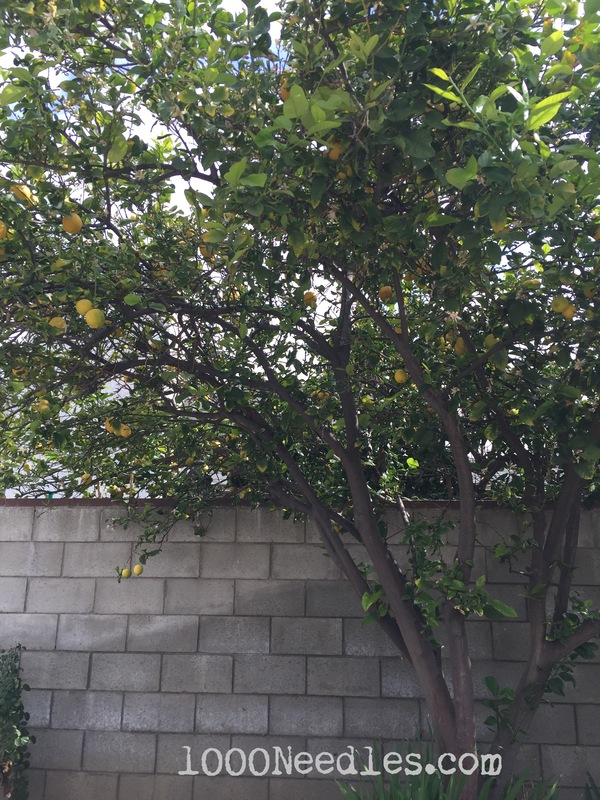 I actually already picked all of the ripe lemons within reach last week so the picture doesn’t really do it justice. But there are a lot more ripe ones higher up and I will need a ladder or a fruit picker to retrieve them. 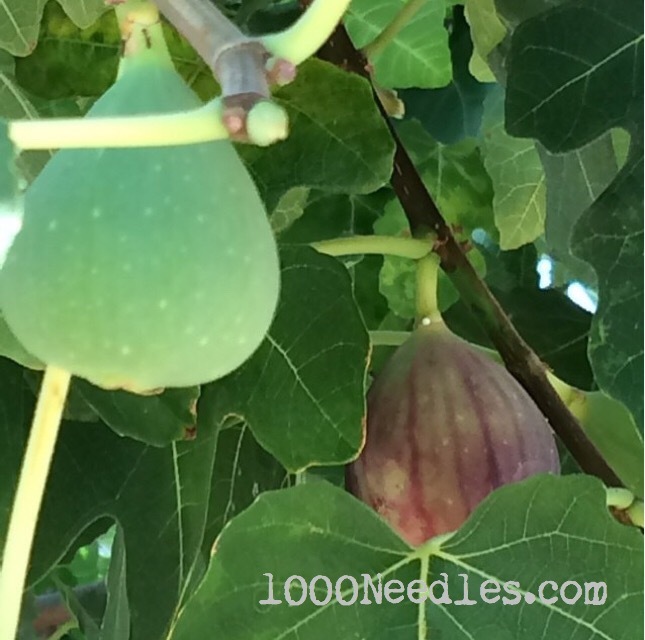 The fig tree is still bare. But the green is starting to come out. I’m not sure if it’s the leaves or buds or flowers. This is my first fig tree and I’m not sure how it’s cycle goes. This one will be ripe around August/September. I found this flower. 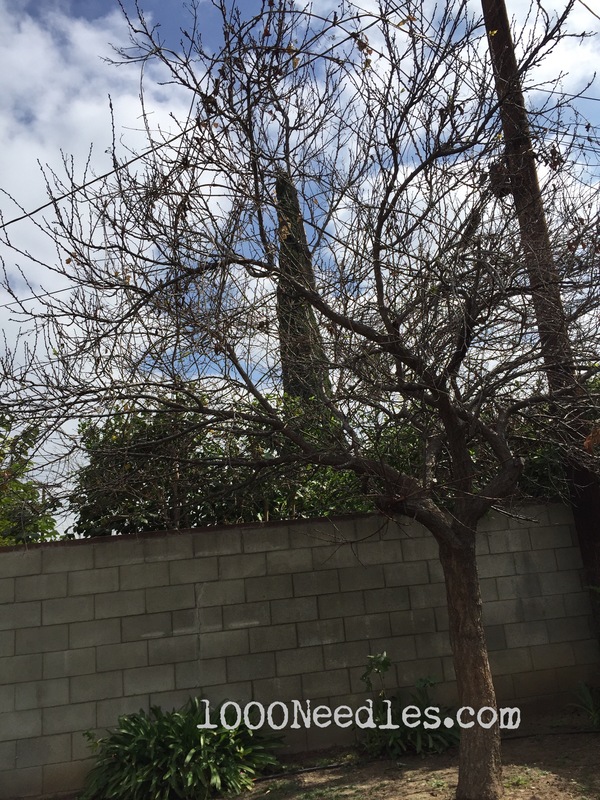 I think it’s a fruit tree… only time will tell what kind of fruit tree it is. We’ve got a guava and an apple tree too but I couldn’t get good pictures. Maybe next time. Happy Saturday, it was a bit overcast this morning but the sun is out now and I may spend some time outdoors. I am glad that you are having good weather. Looks like we are in for another week of winter stuff and then hopefully it will be gone. 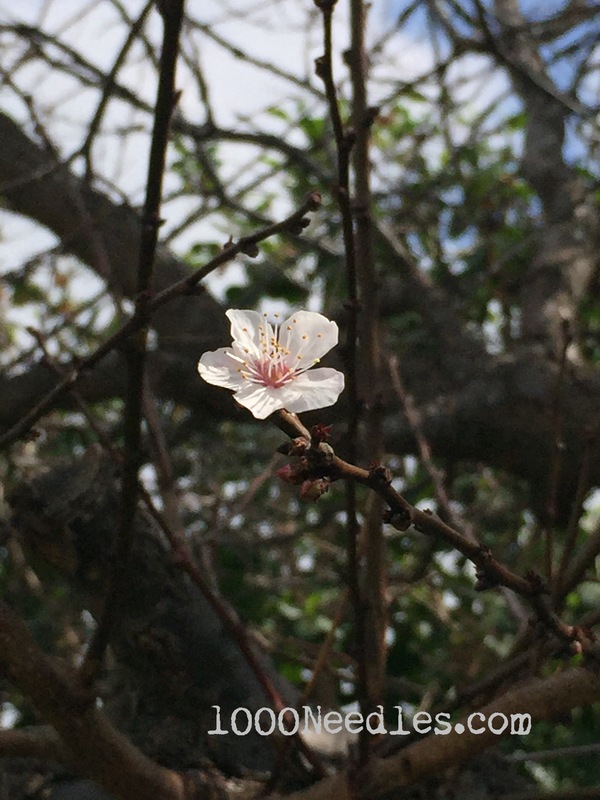 I think that might be a cherry blossom.